Color Me Rad 5k is back! Early bird registration starts THIS Wednesday, January 8th, for the race the April 26th at the MidAmerica Center in Council Bluffs. Want 10% off registration? Enter promo code: RevealtheChampion at registration! 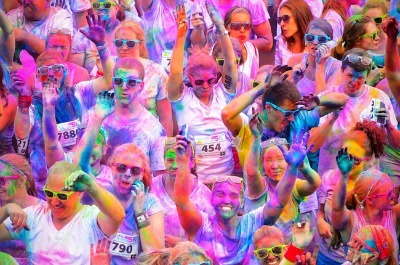 Go to http://www.colormerad.com/race.i?raceid=180&t=Omaha/CBluffs to sign up! Not much of a runner? You can still join in on the fun as a volunteer! Email Liz Bailey at lbailey@sone.org for more information. The best part, Color Me Rad will make a generous donation to the athlete of Special Olympics based on how many volunteers we can bring to the party!